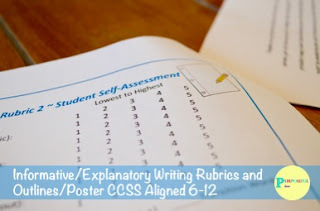 6 writing rubrics with student self-assessments (for a 5, 7, & 9 paragraph essay) created for the progressing writer. There are 15 rubrics in all to include the extra credit variation. Excellent for mixed or leveled classes to give students individualized instruction. Rubrics are created with variation. Practical and easy to understand. Students will know what is expected of them and they will have opportunities to reflect on their work. *Teacher rubric on one side while student self-assessment is on the other side when printed. *Rubrics are created with variation to meet your classroom’s needs. *Practical and easy to understand rubrics for teachers and students. *Easy scoring on a 10 or 5 points each category out of 100 points. *Great for mixed or leveled classes to give students individualized instruction. *Teacher and student self assessment to grade a seven paragraph argumentative essay. *The clip art is on the pages that students use. 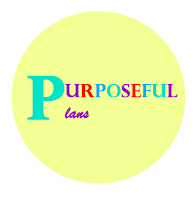 *Add CCSS.ELA-LITERACY.W.6-12.6 by having students research the Internet and type up the essay to implement technology for a cross-curricular assignment. *Add CCSS.ELA-LITERACY.W.6-12.7 & W.6-12.8 by having students conduct a research project by assigning a prompt. Have them gather relevant information through printed or digital sources. Be sure to have them add a bibliography. *6-12th Grade Common Core Aligned. *There is a Save the Planet version to print on both sides of the paper and a version to print just one side of the paper.